By Peteris Kelle in WordPress. Updated on May 8, 2018 . 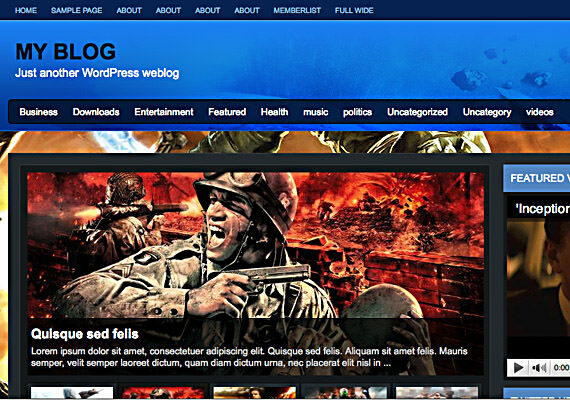 WordPress was once a simple blogging platform but it has now evolved. Today, WordPress is used as foundation of corporate website, photo gallery, portfolio site or Content Management System (CMS) and its undertaking in the future is limitless. As a WordPress user, we understand that it is important to keep up with its latest version. On 17th June 2010, WordPress launches 3.0 and took a significant leap from its previous 2.9. 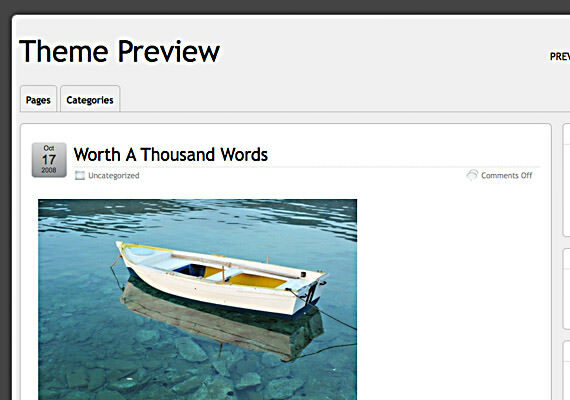 It has made tons of changes and added new features such as custom fields, custom post type, taxonomies and a lot more. Therefore by updating your WordPress, you can experience new functions that are included in the new version and most importantly it also ensures you safe from security flaws and exploits. If you are hosting your own WordPress blog, to ascertain your theme is WordPress 3.0 ready is necessary because it is stressful and extremely agitating to know that the plugin you intend to install is not functional or incompatible. 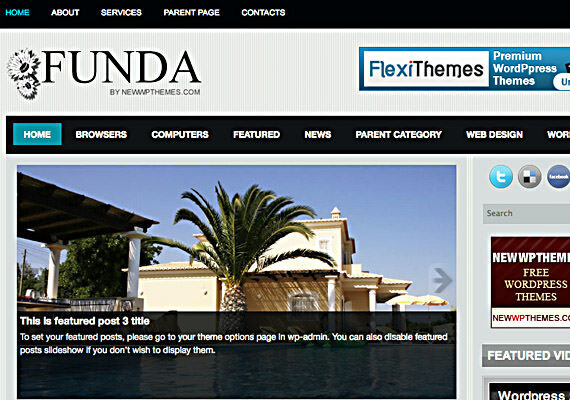 Now that WordPress made such drastic changes, the task to make a theme compatible with plugins will not be easy. 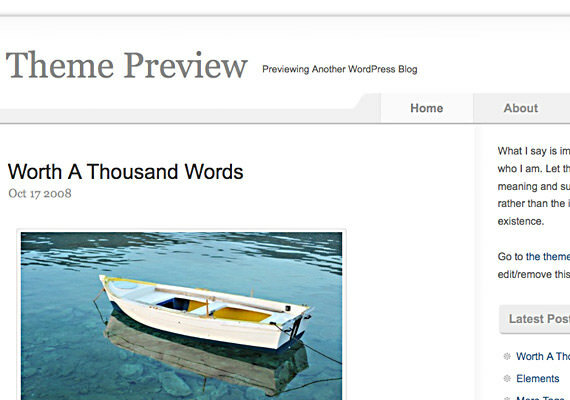 We are here to share WordPress 3.0 ready themes with you. You can now enjoy the convenience and beauty of these ready themes without frying off your brain. 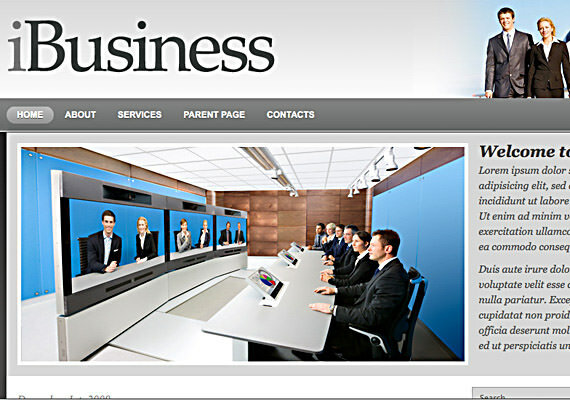 Corporate style theme for your corporate website. 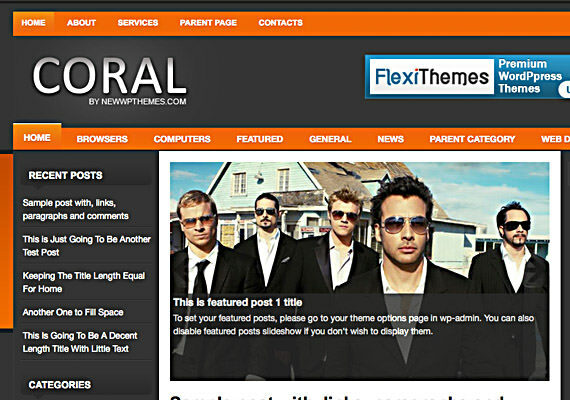 This theme can impress your visitors with its slick design. 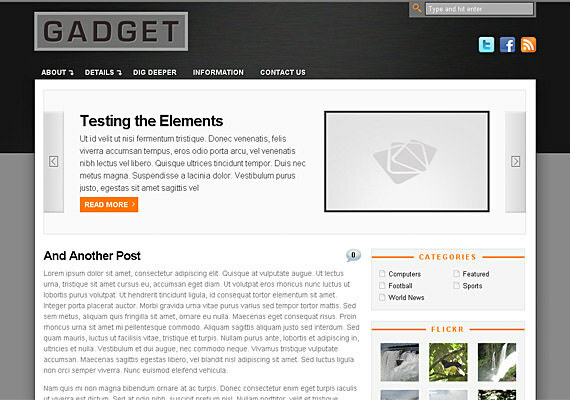 Light background for the content and dark background for the page give a good contrast for this theme. It has a nice tooltip in the background of actived link. A dark theme with glimpse of green color effectively draws out a modern design using basic color tricks. 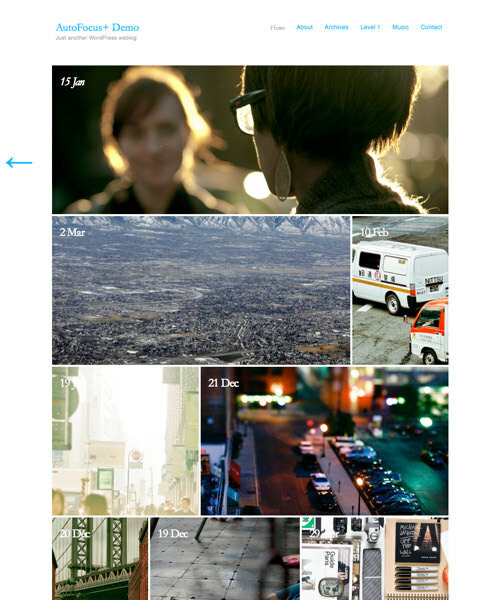 A picture slideshow in the middle gives a perfect solution for different information to be shown in one place. Appropriate to anime, cartoon, game blogs. 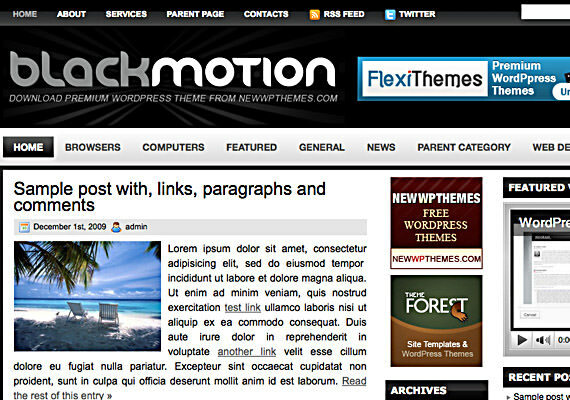 A black and white theme design never gets old and Black Motion themeis the living proof. 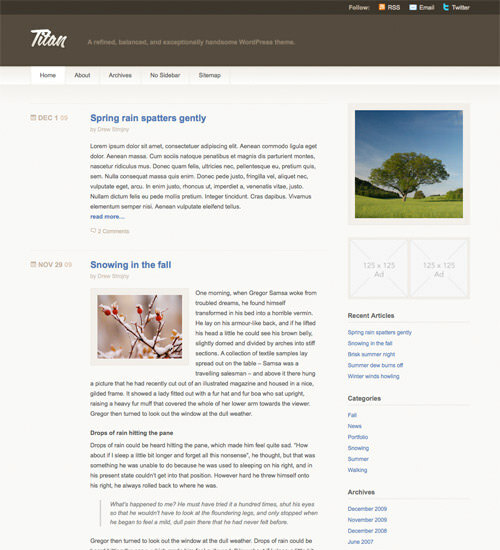 A white color background is used for convenient content reading. This theme is efficient yet catchy because of its widgets. Design elements, such as gradient in the header and shadow in the background make this theme elegant. 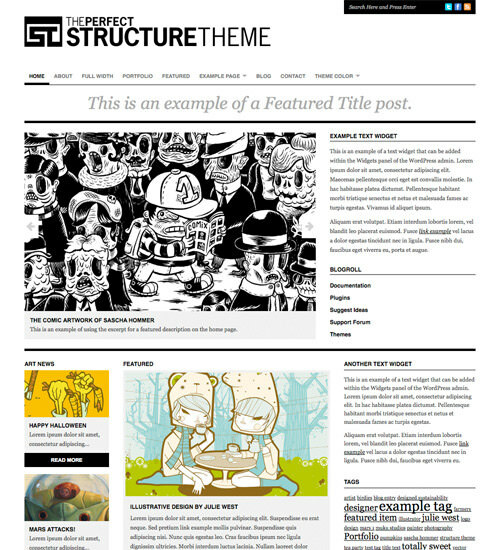 A theme with its own style. Simple, but clean. Everything is in black & white, except the image. A multicolor background with a dark header backround, creates a good color combination. It is fast and easy to look through information with many widgets. A simple design with some cool features. White and grey is a perfect combination to create neat and sophisticated look. 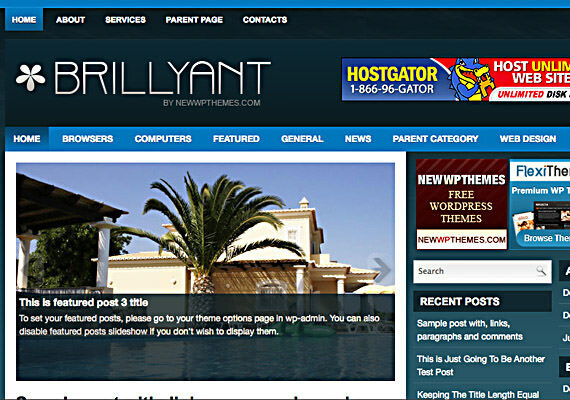 This theme is good for different blogs where colorful pictures are used. Black and white color combination never gets old. But this theme brings it to a higher level. Vertical stripes in the background helps to highlight the page content. Adequited for informational blogs. 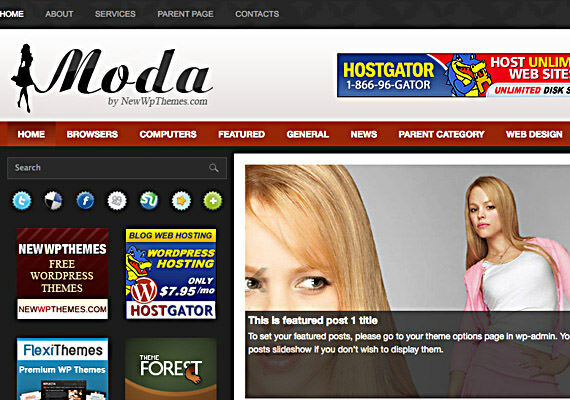 If your website is about fashion then this theme is for you. Dark logo on light grey background looks very good. A conservative and simple theme with many widgets. Main attention is drawn to a page content. Orange color of this theme makes this theme very unique. Orange, grey and white colors match very well together and they make this theme brilliant looking. 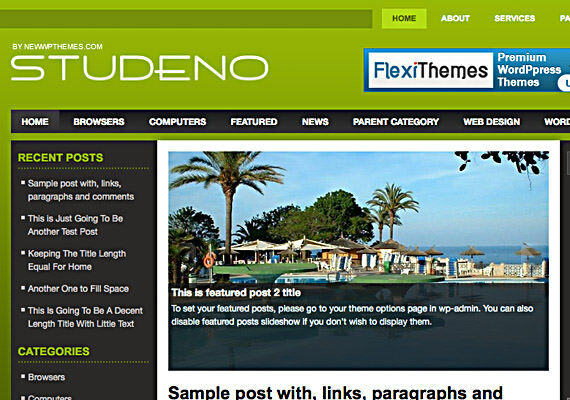 According to theme’s name, this theme really is simple, without any unnecessary things. This theme would fit for blog very well. 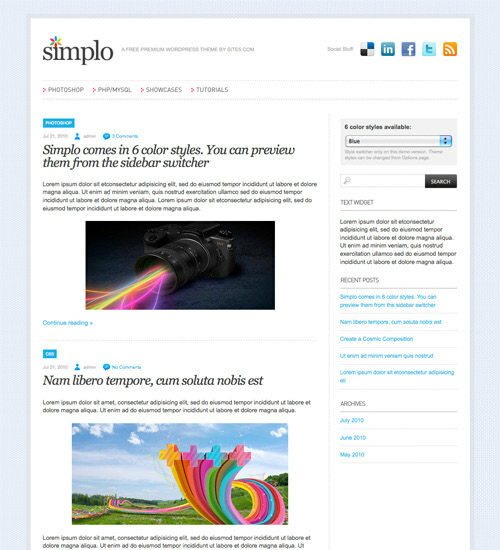 Simple and elegant theme for your blog. Brown color in header’s background gives a nice style. Gradient for navigation looks elegant as well. Dimenzion is really dimensional. Backgrounds of header, navigation and content are twisted so they give a dimensional look. 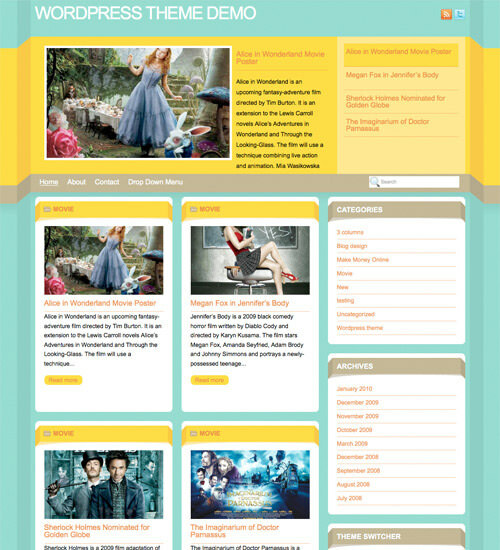 Main colors for this theme are light blue, yellow and brown. Very colorful theme. This theme looks like a design for news portal. Good for blogs which are updated regulary. 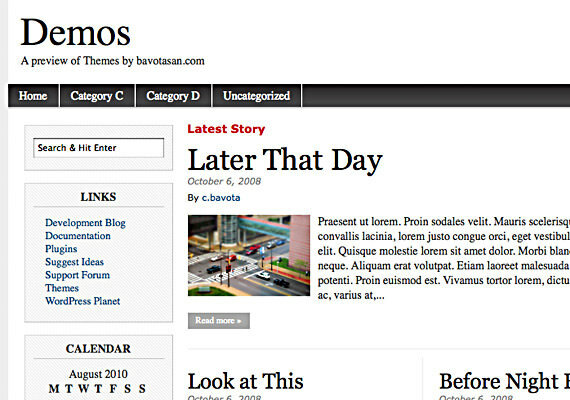 A good theme for news blog. It has a blue background which attracts attention and light blue borders around blocks. Stargaze is very cool theme because it consists of many colors and it has some life in it. 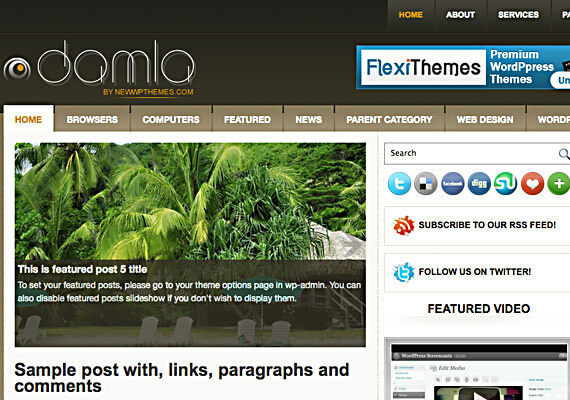 If you are a photographer and you’d like to publish your photos or publish some blog posts then this theme is for you. Your photos will draw more attention because of dark background and also white border around photos highlights them. 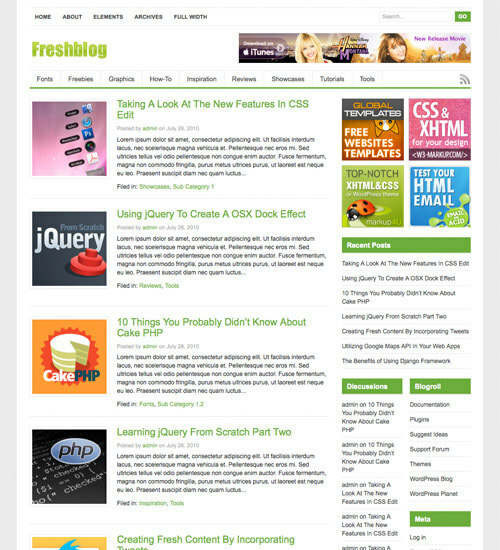 Freshblog is a simple theme for a blog which doesn’t contain any shiny design elements but has a big simplicity. 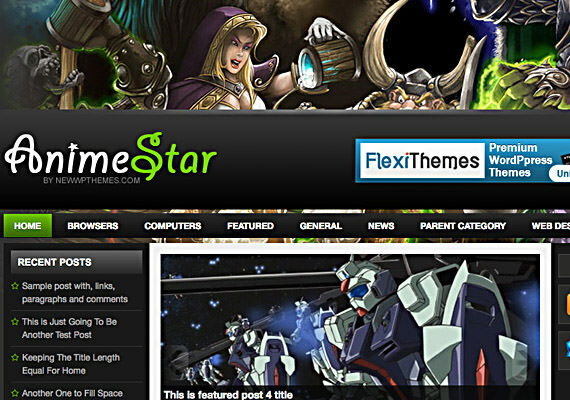 If you are creating a blog about Anime then you have, probably, found the right theme for your blog. 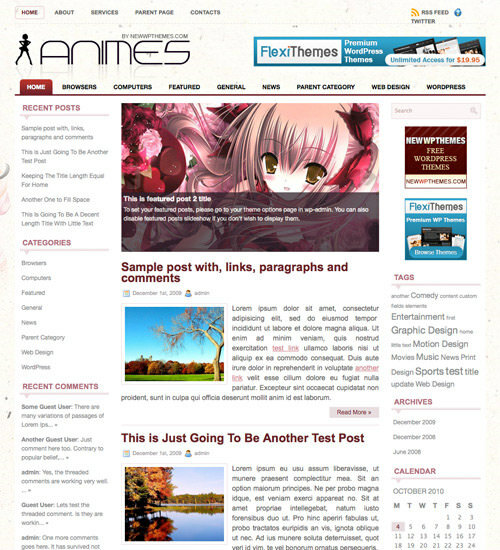 This theme is all about Anime. 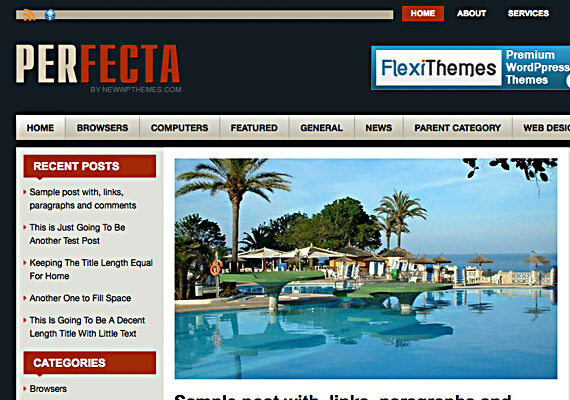 Perfecta is very general theme, but it has a style. 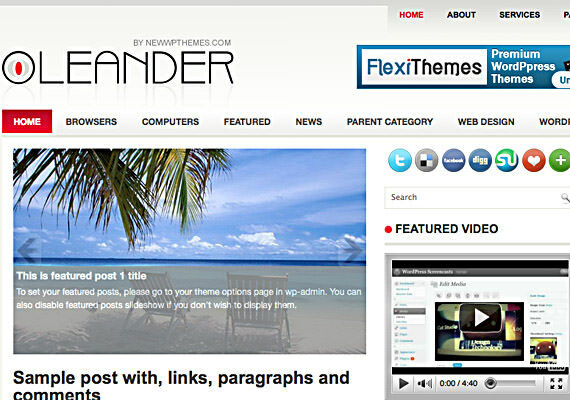 If you are planning to create a simple blog then this theme is for you. It doesn’t look like a mount of creativeness, but it’s simple and that means that it will load very fast. Nicely combined dark color in gradient makes this theme look stylish and neat. A picture slideshow in the middle is great for showing pictures. Widgets on the right helps to oversee all latest information. 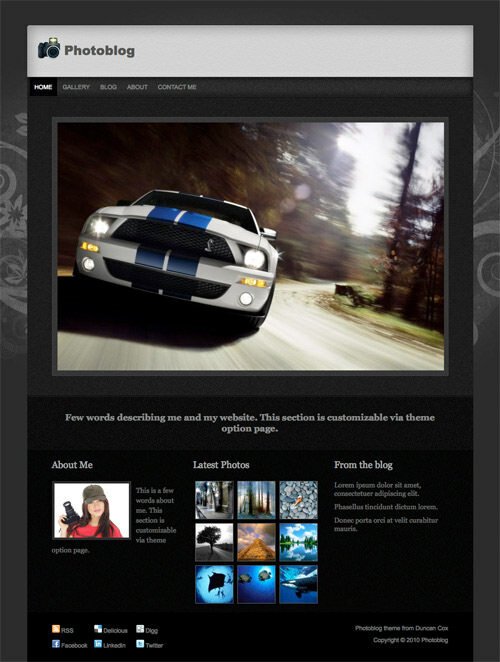 This theme is good for photo, cartoon, design blogs. 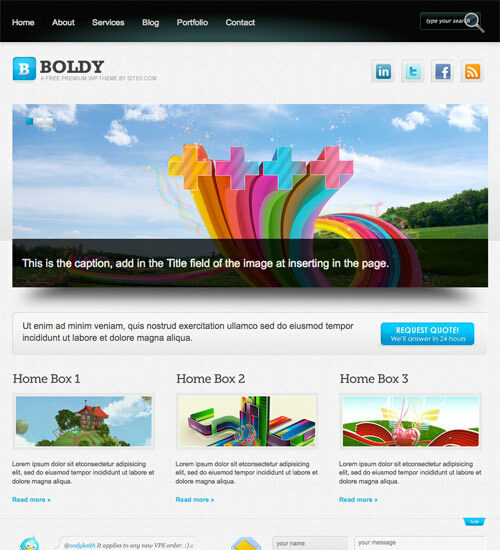 Great theme for your company website. It is very clean and at the same time very stylish to make a good impression. Rounded corners, small shading at the background and a simple white design is for those who want to have a traditional design with some modern features that bring this theme to a new level. Very elegant theme. 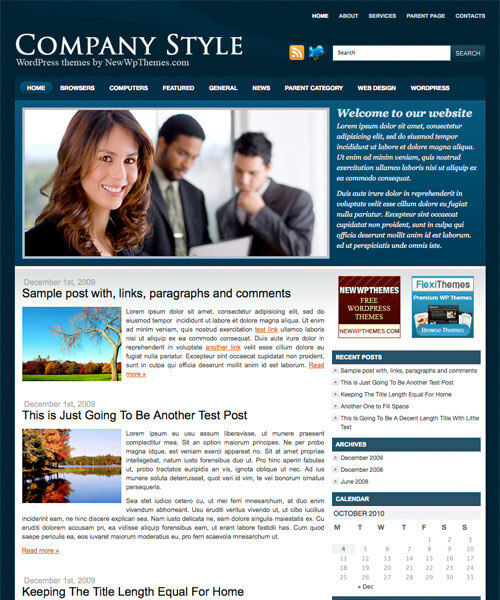 Good for corporate style website. All attention goes to image in the middle of the page. MobileWorld uses mainly cold colors with red accents. Blue color gives people trust. A dark gradient background creates a perfect opportunity to highlight a logo and articles. Good for news, informative blogs. 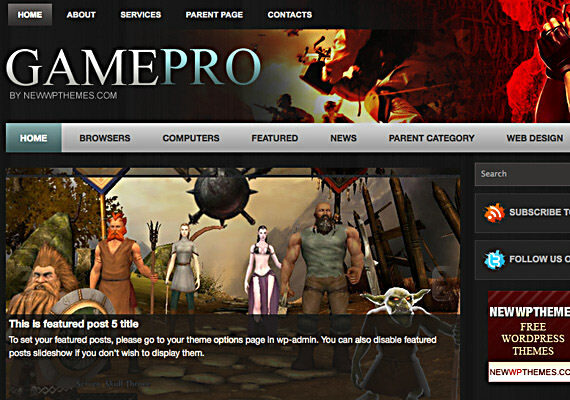 A dark background, an image slideshow and this theme has appropriate header image for game blogs and sites. Green and black color combination that looks very good together. Great for blogs that want to emphasize “green design” importance in our time. 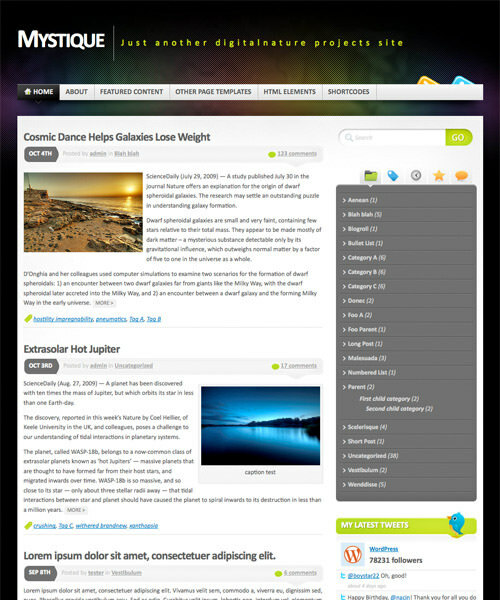 Blocks make this theme user friendly because it is easy to view the newest information.